The Path Onto Prosperity (POP estab.1998), the Trust’s principal programme, is the development model we have created using Community Based Rehabilitation (CBR) strategies to transform and heal marginalized rural communities. The POP “path” is a long term (25 year) programme, integrated, holistic and replicable. It is made up of +/- 20 projects that cater to the needs of children from 4 months old to school leaving youth. 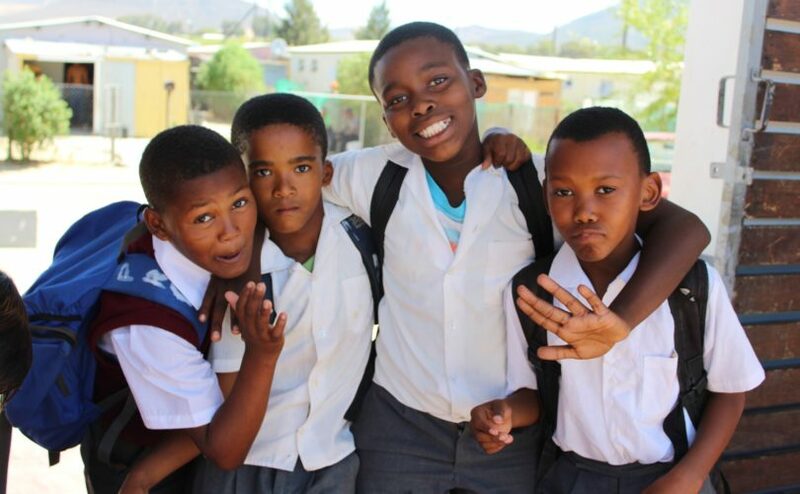 POP now runs 8 POP Youth Centres in the Western Cape; Goedgedacht Farm (Malmesbury district); Prince Albert; Riverlands; Chatsworth; Riebeek Kasteel; Riebeek West; Koringberg; and Paarl. During 2016/17 two further centers will be built, one in Porterville (funded by PPC) and one in the village of Gouda (funded by Accione Wind Farms). The additions of these increase our reach in impacting the lives of nearly 8000 rural children. The Path Onto Prosperity (POP) Programme vision seeks to transform rural communities, by offering the most recent generation of children the opportunity to become healthy, self- confident, educated young people able to take up leadership roles in their own communities. We concentrate on healing the past, building self-esteem, self-confidence, capacity and skills of young people, supporting them in breaking out of the damaging cycle of generational poverty. In our experience, one good project cannot help people break out of poverty. In the last two decades we have slowly assessed the needs of farm working communities; building on our experience and in conjunction with community members we have constructed a developmental model which is made up of several interlocking programmes that are accessible for all rural youth. The tapestry of this model is woven with FOUR golden threads which weave their way through the POP Programme: Education, Health, Personal Development and Care for the Planet. POP, which was designed to address the needs of rural children and youth, has been commended by evaluators as mirroring, the Community Based Rehabilitation (CBR) matrix of the WHO that is backed by UNESCO and the ILO. The bottom line is that we do everything we can to intervene as early as possible in the lives of children;protect and nurture them through the first 1000 days of their lives, preparing them for school; and then do EVERYTHING to keep them in school for as long as possible. Throughout this time we help them heal, strengthen their confidence, build coping skills, help them recognise their resilience and reach their individual potential. The programme is unlike other rural interventions, in that it is long-term. We see this as a marathon, not a sprint, so we aim to provide support for children starting before birth and lasting 25 years, guiding them into adulthood. ​Given the scale of rural poverty and the hopelessness found in so many rural villages, it was clear that the POP programme had to be replicable. Replication however, carries with it the dangers of rapid expansion, quantity over quality, and the costs of maintaining the work into the future. Long term sustainability had to be taken into account.